Welcome back for another post from the Northface Technology Series. Today, we’re going to look at a type of technology that we haven’t started using yet, but are hoping to include it into our operations sometime in the near future: thermal imaging drones. As you may be aware, drones have been on the rise for quite sometime. We’ve seen the commercialization of drones through products like the DJI Phantoms, In fact, recently the Department of Transportation made moves to relax restrictions for the commercial use of drones. While some people may be divided in terms of where they stand on drones, they can also provide many benefits, including in the services industry, such as the development of Amazon’s Amazon Prime Air. Now, drones have even entered the home improvement sector to make the process of repairing roofs more simple and streamlined. What Problem Does a Thermal Imaging Drone Solve? The biggest problem that these drones can help solve is when there is damage to your roof which is causing moisture to seep into the the insulation. This is critical for a few reasons, especially for flat roofs. First, for commercial repairs, all insulation that has been affected must be removed. So, a thermal imaging camera attached to a drone will be able to identify the entire area that needs maintenance. This allows whoever is repairing the roof to be able to relay the damage to the owner and illustrate to them the size of the damage. Another benefit that these drones can help solve is by eliminating any guesswork. Many times, a roof repairer may have to guess on the overall damage when it comes to leaks. By figuring out precisely the magnitude of the leak, it allows the roofer to know exactly what he is up against before he starts digging in. One of the top thermal imaging drone brands on the market right now is Flir. Flir’s airborne thermal cameras allows you to see missing or damaged installation, water under roof membranes, and external electrical issues, along with many other problems with building and roofing systems. This thermal camera is one we will certainly be considering when the time comes for us to integrate this technology into our services. At Northface Construction, we have three pillars that we adhere to. First, there is sustainability, which we incorporate using our three pillars for sustainability: environmental, social, and economic sustainability. We use these principles to guide all the decisions we make. Next, we focus on honesty. 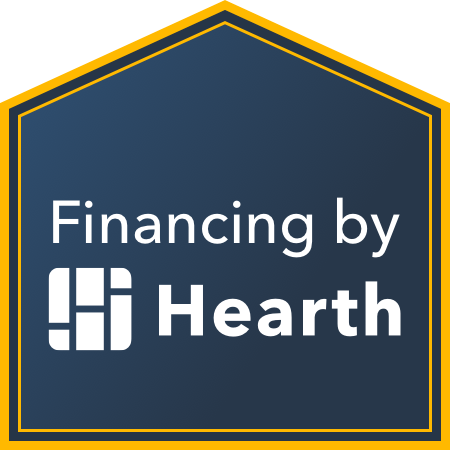 We want to be as upfront as possible with our clients and to make sure that they know what is wrong with their homes, and how we are going to fix it for them while charging them a fair price. Last, we focus on customer service. We understand that customer service is the bedrock for any successful business. Using the latest and greatest roofing and siding technology allows us to follow through on these core values and as a local business, we are always looking for ways to improve our operations to make them more efficient not only for the benefit of ourselves, but our customers as well.